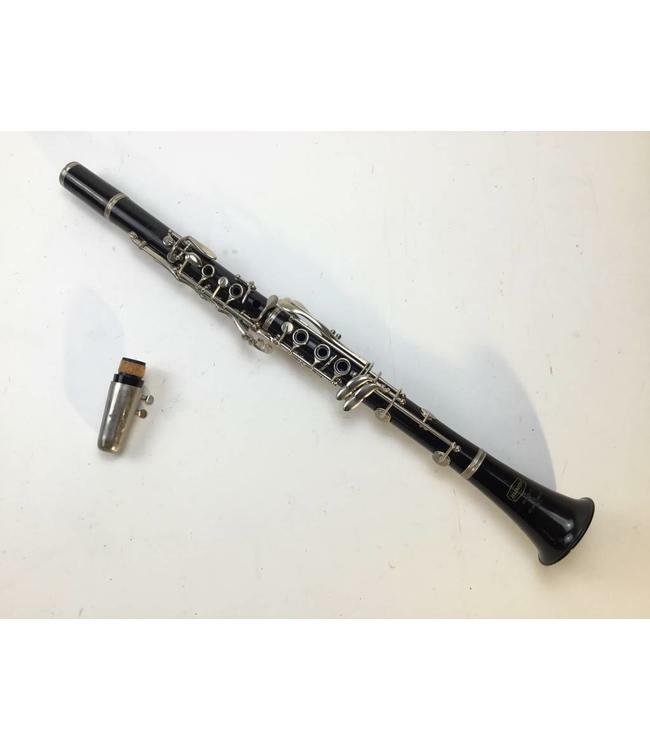 Used Bundy Resonite Bb student clarinet. Composite body with nickel keys. Keys show some normal wear especially at contact points. Pads and corks have all recently been replaced. Comes with case, mouthpiece, ligature and cap. Great beginner or marching band instrument.